OMG Posters! » Archive A New Poster and a New Art Print by Jay Ryan - OMG Posters! Jay Ryan just put two killer new prints up for sale. 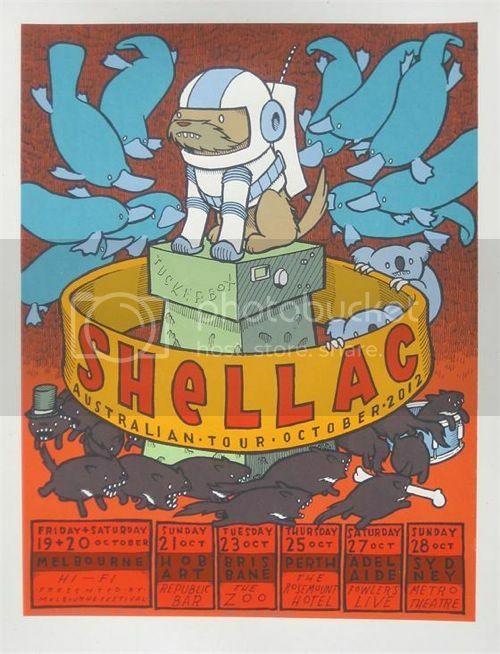 His Shellac poster is an 18″ x 24″ screenprint, has an edition of 300, and costs $30. 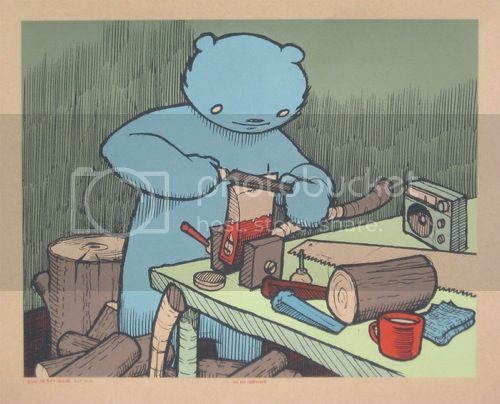 “Axe Sharpener” is an 18″ x 24″ screenprint, has an edition of 185, and costs $40. Visit TheBirdMachine.com.